On Thursday, February 16th nearly 50 students stormed the Capitol to lobby on their higher education legislative agenda. 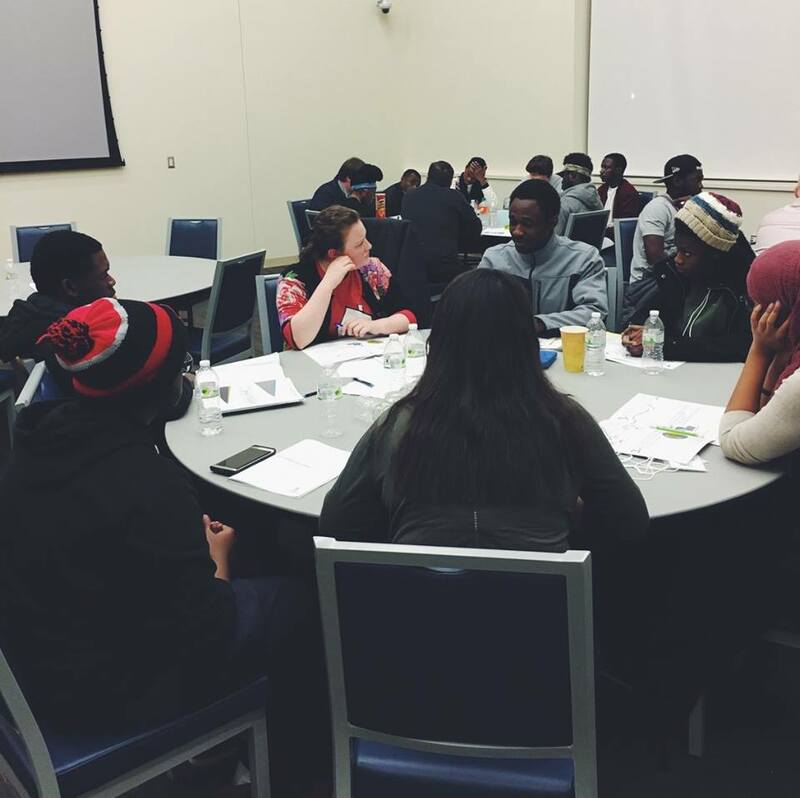 The night before Advocacy Day, students assembled at Metropolitan State University for training. We had friends and alumni of the organization join us as mock legislators and trainers to help prepare students for Advocacy Day. In addition, Jason Fossum, the Committee Administrator of the Higher Education Finance and Policy Committee for the MN Senate, came to speak to students about the legislature. He gave tips about what to expect, and how to prepare for talking with legislators the following day. On Advocacy Day, the students were broken into their lobby groups, which were made up of students from their own university. Then, each group was given their own schedule of legislators they would meet with throughout the day. The groups met with legislators within their university and hometown districts. Throughout the day, students met with over two dozen legislators. This day happened because of the students. The legislative agenda they lobbied on was crafted by students. The great conversations that happened throughout the day, happened because of students. We thank all of the students who took time to travel to St. Paul and advocate on behalf of their fellow students. Have more questions regarding Advocacy Day? Please contact Sarah Berns, our Director of System and Government Relations, at sberns@studentsunited.org.